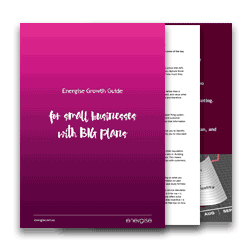 Download your FREE copy of our Energise Growth Guide. It’s the essential guide to helping you achieve your plans and take your business to the next level. Learn how to create a marketing plan for your business. All the key areas you need to cover off to create a marketing road map are detailed on page 9. It’s your essential guide to helping you achieve your plans and take your business to the next level. We’ve put together some other articles that you might be interested in.